Antarch Consulting provides agency assistance for authentication of overseas-bound documents and certificates in Nigeria's Ministry of Foreign Affairs and Ministry of Education in Abuja. We also assist with legalization of documents at the Embassies where applicable. The process for authentication of documents in Nigeria is typically riddled with bureaucratic bottlenecks, which makes it stressful and time-consuming. If you lack the patience or time (especially if based outside Abuja where the Ministry of Foreign Affairs Headquarters is located), it can be frustrating to undertake the document authentication process. 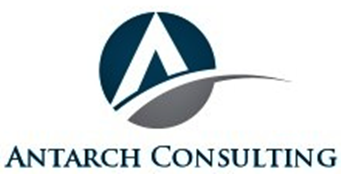 Antarch Consulting is proficient in authentication and legalization services. We leverage on our extensive experience and knowledge of the process to help you authenticate documents efficiently. In spite of our accelerated authentication assurance, there are no illegal shortcuts. When we assist clients with document authentication, it always follows the standard, official protocol - with the genuine government seals, stamps, signatures, and receipts where applicable. 100% Guaranteed. Depending on requirements, a printed copy of your document or the original may be authenticated. In either case, we understand the need for precision, care and efficient handling and logistics. We typically have to send the authenticated document back to you via courier or waybill, so we don't leave room for careless mistakes. There's no price too high to pay when you get value for money. We charge a premium price to take the stress of Nigeria’s document authentication and legalization processes away from you. To help ensure that everything goes well and that your documents are authenticated and delivered to you as quickly as possible. At every step of the way, you get excellent feedback and customer service.